The history of Spanish slang: Spanish is a unique language. From Argentina to Spain, accents, meanings, connotations and more get lost between borders. 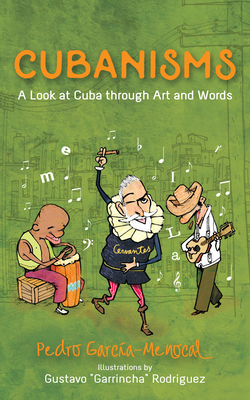 Cubanisms by Pedro Garc a-Menocal details the diverse history of the Spanish language as it evolved in the Lost City. The humor of Spanish slang: With beautifully traditional illustrations from noted Cuban artist Gustavo "Garrincha" Rodriguez, Cubanisms embraces the hilarious and historic value of words and their interpretations. This funny and informative collection will keep you laughing and learning all the way from Havana to Santiago.